This is a children’s book. But it is for real children. It is a book of buried treasure, people-eating giants, sleeping kings and a monster fish. There’s fire, wee, milk and missing body parts. It’s a book that’s got the bits adults don’t like left in. These are stories of Shropshire. They are old and wild, like the land itself. If you like giants having their heads lopped off, girls who won’t do what they’re told, knights fighting with lances, one-armed ghosts and grumpy witches, then this is the book for you. In places, Shropshire has traditional patchwork fields and hedgerows; in others, small villages and market towns with black and white half-timbered buildings. But it also has places that are still wild – hills where heather and bracken cling to the rocks while peewits call overhead and strange rock formations jut to the sky, casting their shadows over the countryside below. The thirty stories in this new collection have grown out of the county’s diverse landscapes: tales of the strange and macabre; memories of magic and other worlds; proud recollections of folk history; stories to make you smile, sigh and shiver. Moulded by the land, weather and generations of tongues wagging, these traditional tales are full of Shropshire wit and wisdom, and will be enjoyed time and again. 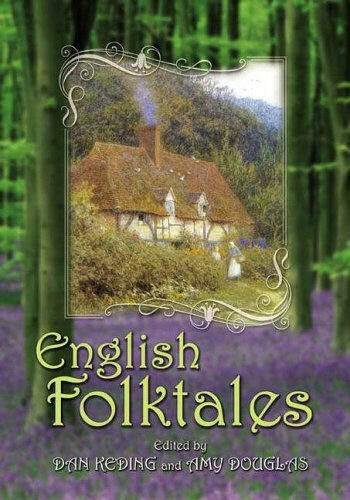 ‘Winner of the 2007 Storytelling World Award for best storytelling collection’ This collection of traditional English folktales reflects the depth and diversity of the folk heritage of England, and illustrates the ties between stories, land, and people. 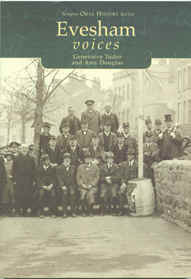 A book of reminiscences collected during a project funded by Wychaven District Council and West Midlands Arts. A unique record of Evesham life in the 20th century. A CD of stories and riddles from Shropshire with music from Alistair Gillies.